Las Vegas, NV - Patriot Gold Corp. (PGOL:OTC) or ("Patriot Gold"), a developing gold and silver exploration and production company, today provided a more detailed update on the 2014 drilling program at its Bruner gold project located in Nye County, Nevada. Four out of five core holes (B-1302C, B-1303C, B-1304C and B-1306C) demonstrated potential gold mineralization. Drilling on the fifth hole (B-1308C) has not yet been completed. Full testing and analysis of all five core holes are currently pending. Core drilling at Penelas East discovery area will begin once B-1308C is completed. Reverse Circulation (RC) drilling also continues at Penelas East discovery area with three RC holes completed and assay results pending. 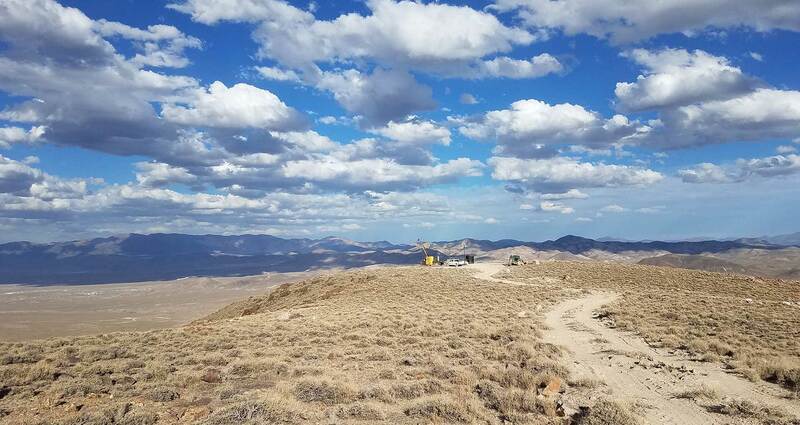 "We are very pleased to see continued drilling to date at the Bruner project site living up to our belief that the Bruner project site hosts high grade gold," said Bob Coale, CEO of Patriot Gold. "We remain confident in the progress we have made and continue to utilize the best technology and resources in executing our drilling program, including the addition of an advanced reverse circulation drill that will allow us more flexibility and versatility in accessing drill sites located in steep terrain areas. As we gather more results, we look forward to reporting our findings in detail and keeping our stakeholders updated on our next steps." Core drilling continues at the main mineralized zone of the historic resource area. Of the five core holes, B-1302C, B-1303C, B-1304C, and B-1306C have been completed and B-1308C is in progress. Assay results for all five will be reported together in order for the results to be placed in proper geological context. Mineralized intervals consist of strongly silicified rock surrounded and cut by clay and limonite filled fractures and breccias. These features appear to host gold at the historic resource area based upon observations underground and drill results to date. Once core drilling is completed at the historic resource area, the RC rig will be moved in and drilling will continue to further define the geometry and grade of the main mineralized zone. Once the fifth core hole (B-1308C) at the historic resource areas completed, the core drill will move to the Penelas East discovery area where a core hole will be drilled to offset a significant intercept of gold in volcanic breccia encountered in the last hole at Penelas East in 2013. B-1341C intersected 79.9 meters of 1.509 gpt gold (262 feet of 0.044 opt gold). Drill testing with the Foremost Prospector RC drill rig began at sites demonstrating prominent VLF-EM (Very Low Frequency and Electron Magnetic) geophysical anomalies. The prominent VLF-EM geophysical anomalies detected have historically been coincident with findings of gold-in-soil. These anomalies may be extensions of the prominent VLF-EM current density anomalies that were found in the 38 gold-bearing drill hole intercepts completed in 2012-2103 at the Penelas East discovery area. To date, three RC holes have been completed with the objective of evaluating two of the five untested VLF-EM anomalies. Silicified and clay altered rocks have been encountered in all three holes completed to date, which matches the modeled interpretation of the VLF-EM targets. Assay results are pending on all of the drill holes. Further RC drilling of the VLF-EM anomalies at Penelas East will be determined once assay results from the holes completed to date have been received and interpreted. Last month, a Foremost Prospector RC drill rig arrived on the property. This versatile drill rig has a rotating table on which the mast is situated, allowing for the ability to drill multiple azimuths and inclinations from a single set up without having to physically move the drill rig. This is an advantage in not only reducing the surface disturbance associated with exploration drilling in complying to the Notice of Intent with the Bureau of Land Management, but also an advantage given the tight drill sites in the steep terrain of the historic resource area on the Bruner property.